Rugged islands, white-sand beaches, dramatic mountain passes and a royal goat – the Ring of Kerry works its magic as you travel from rugged coastline to charming villages and buzzing towns. You can do it all in a day, but our advice? Go slow, savour the sights, get off the beaten track, and see what has made this driving route one of the most popular on the island of Ireland. Bring an open mind, a good camera and a sense of adventure – the Ring of Kerry offers a rare escape into some of the most breathtaking landscapes Ireland has to offer. From island-studded Atlantic panoramas to cosy traditional pubs, prepare to meet a masterpiece. Killarney National Park is built for cycling. 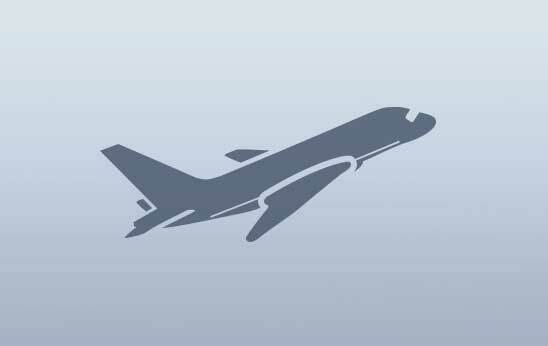 The gradients are slight and the paths are smooth. If you’d like to cycle some more of Kerry, Killarney Rent a Bike can provide you with the wheels to do so. 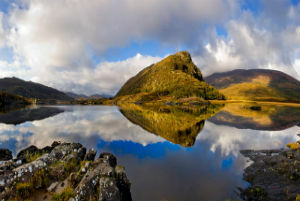 With the MacGillycuddy’s Reeks mountain range and Ireland’s tallest mountain, Carrauntoohil, drawing attention to your left, this first stretch of the Ring of Kerry takes you through serene pastoral landscapes and narrow tree and hedge-lined roads. As you reach the town of Killorglin, you might notice the statue of a goat perched proudly on a large boulder. This is King Puck. Every year, a wild mountain goat is crowned king and a festival erupts in the town with several days of music, dancing and unbeatable fun. 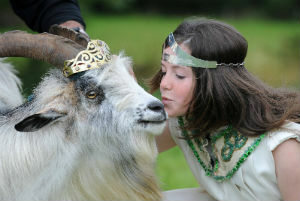 Thought to have its origins in pagan times, Puck Fair is Ireland's oldest festival with official records dating back to the early 17th century. 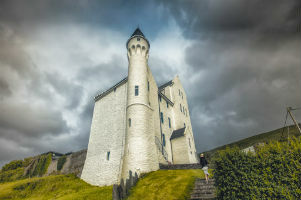 If you're not in town around festival time at the beginning of August, don't worry – Killorglin is an enjoyable melting pot of pubs, cafés and galleries. Like views? Like golf? Then make your way to Killorglin Golf Club, considered to be one of the most scenic courses on the island. Leaving Killorglin, the scenery ramps up as you head towards Glenbeigh, a peaceful village that basks in beauty thanks to the vast sands of Rossbeigh Strand, as well as the surrounding hills and mountains. Walk, horseride, swim, surf and hike or simply sit and watch the light play over the landscapes – it's really something special. A short detour from the N72, the Gap of Dunloe slices narrowly through the MacGillycuddy Reeks mountains. Beginning at Kate Kearney’s cottage, the walk through is a 5-mile round-trip treat of mountains, lakes and curving roads. Pony and trap rides, tours and organised day trips are also available. Known as the gateway to the Skellig Ring, Cahersiveen is one of the westernmost towns in Europe. Sitting at the foot of Bentee Mountain, the town has a fascinating history that can be traced through its 7th century stone fort and the beautiful 15th century Ballycarbery Castle. But it's the Old Stone Barracks that gives Cahersiveen an unusual edge. This heritage centre was built as a police station for the Royal Irish Constabulary in the 1870s, but local rumour suggests that the turreted "scholss-style" pile was actually built in error. According to some accounts, the British authorities were in such a race to have the station built that they mixed things up resulting in the plans for a building in India being used. Fact or fiction? We couldn’t say, but it’s a great story either way. The Skellig Ring lies off the Ring of Kerry and shouldn't be missed on any trip here. There are stunning beaches, exceptional Atlantic views, the island of Valentia, and trips out to the 6th century island monastery of Skellig Michael. Heading towards Waterville, the roads twist and turn as you're brought through craggy landscapes bounded on one side by the Skellig Peninsula, with glimpses of the ocean adding blue to the vast stretches of green. 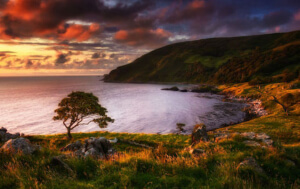 This is pure escape in a part of Ireland that is legendary for its wild beauty. Heading into the village, it's easy to see the appeal of this bucolic seaside spot. Backed by deep green mountains and facing the Atlantic Ocean, this coastal gem is a top destination for hill walking, golfing and angling. And at night, don't forget to look up – this part of the island is an International Dark Sky Reserve and is one of only three Gold Tier Dark Sky Reserves on the planet. 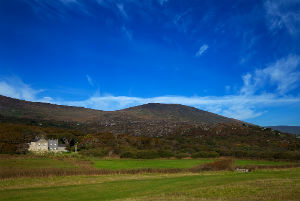 Stunning landscapes by day; majestic skies by night – welcome to Waterville! 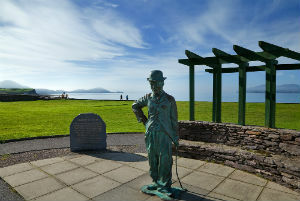 Waterville was a favourite holiday spot of Charlie Chaplin, and the village celebrates his memory every year with the Charlie Chaplin Comedy Film Festival in August. Sitting on a soft green hill overlooking the pristine white sands of Derrynane beach, the worries of the world feel a million miles away. Gently lapped by aquamarine seas and backed by rolling green hills, the butter-smooth sands here are made for walking, relaxing, thinking... with beautiful sea views and quaint little coves. Close to the beach, Derrynane House feels like its been lifted from the pages of a 19th century novel with its beautiful setting and stunning grounds. This was the home of Daniel O'Connell, one of Ireland's greatest politicians in the 19th century. Visit the house, enjoy a coffee in the former stables and explore the whimsical woods beyond – it's a special place. Just west of Sneem, Staigue Fort and the surrounding area are believed to have been used for both defence and worship. One of the largest ring forts in Ireland, the walls reach some 18ft high with some sections measuring 13ft thick. 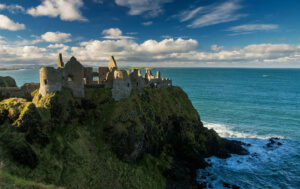 Experts believe the fort predates St Patrick’s arrival in Ireland. 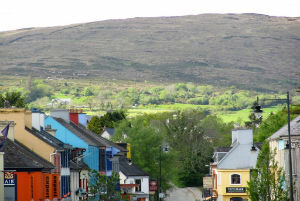 It's got a charm all of its own, Sneem. The neat colourful houses lined around the village square give this delightful little spot a real picture-postcard feel. Divided into a small north and south village by a gentle river, this place is almost dwarfed by the majestic scenery that surrounds it. Park up, walk around and enjoy the special atmosphere and unique way of life of this remote coastal gem. 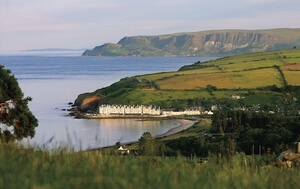 Close to the village, the acclaimed resort of Parknasilla makes a wonderful retreat for a few days, with gorgeous woodland walks and coastal trails. The landscape changes dramatically as you leave Sneem with pretty woodland framing the road as it winds and weaves towards the town of Kenmare. Along the way, drop in for a bowl of seafood chowder in the Boathouse at Dromquinna Manor, with stunning views over Kenmare Bay. 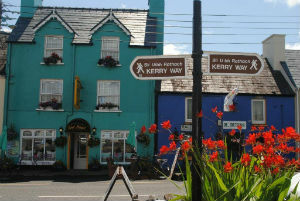 Winding into Kenmare you'll find a never-ending stream of knitwear stores, great restaurants and lively seafood spots. In Kerry’s first Heritage Town, traditional charm mixes with contemporary cool with smart galleries sitting alongside old-world pubs, antiques shops, bookshops and delis. Buy an Aran sweater, feast on Kerry's finest seafood at Tom Crean Fish and Wine and enjoy the eclectic atmosphere of this enjoyable little town. Be prepared – the next stretch of road will bring you through impossibly beautiful mountain passes as you head towards the incredible Moll's Gap. 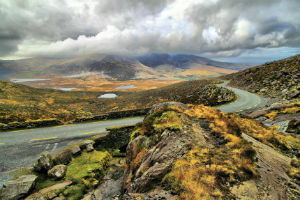 Named after Moll Kissane who set up an síbín (illicit bar) here in the 19th century, the "gap" is an outstanding stretch of curving road enhanced by a scattering of lakes and the hulking presence of the MacGillycuddy’s Reeks mountain range. Stop at the Avoca Handweavers store, set on a rocky ridge. It's a fitting place to enjoy the sweep of mountain, river and lakes that serenely stretch out below you. Keep going and your route will take you through Killarney National Park. A steep-sided hill on one side and Lough Leane followed by Muckross Lake on the other mark this stretch as something special. 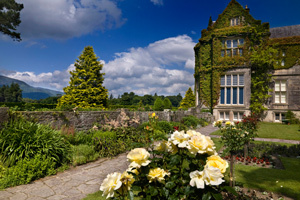 Once you reach Muckross House, it’s time to decide how to explore the park itself. A varied collection of mountains, lakes, forests and even a waterfall, this is a landscape of unique visual beauty. How you see it is up to you. Take a trip on a traditional jaunting car – an old fashioned pony and carriage – around Killarney National Park. 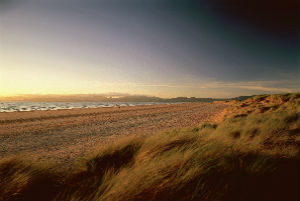 Right by the Ring of Kerry, there's a world of pristine beaches, stunning views and unique experiences. A rugged coastal route that spans over 2,500km of this little island – welcome to the Wild Atlantic Way. 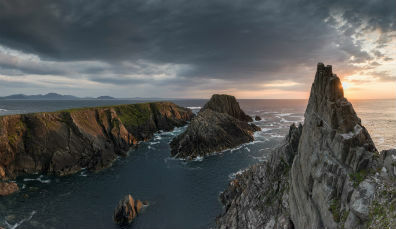 Be wowed with panoramic views from atop the Wild Atlantic Way's most dramatic cliff edges. 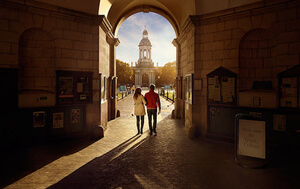 Discover ten of the most unique and incredible experiences in Ireland. 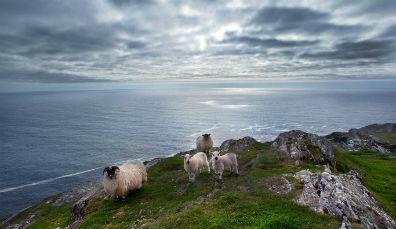 Foaming seas and staggering cliffs - the Southern Peninsulas of the Wild Atlantic Way are awe-inspiring! 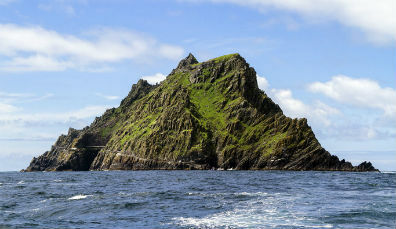 Long before Skellig Michael welcomed Star Wars, a group of dedicated monks made this remote island their sanctuary. Magnificent coastlines, a vibrant culture and unspoiled nature – the Kingdom of Kerry and all its glory will not disappoint! Go behind the scenes in the Irish village of Portmagee. From Dublin to the Death Star… meet some of the Irish actors who’ve conquered the Star Wars galaxy. 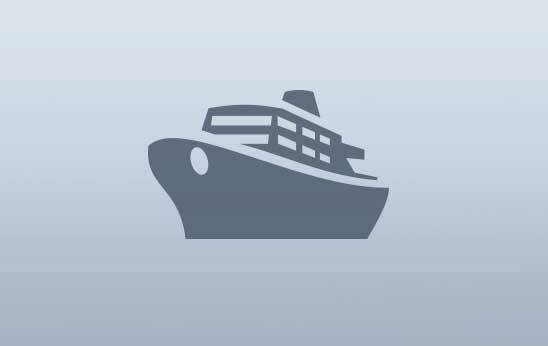 From €1520 per person sharing.